Our customers tell us all the time that Toast handhelds help them increase revenue, decrease costs, and delight their guests. O’Maddy’s Bar and Grille owner, Joe, told us that when he introduced Toast handhelds, he was able to make an additional $1 million in revenue from a property that he had been operating for 27 years and believed was already at max capacity – music to our ears. After introducing Toast Go™ – our new handheld custom-built for restaurants – to the market, word on the street was that servers using Toast Go were walking a mile less per night but somehow turning more tables than ever before. Naturally, we had to see for ourselves and put Toast Go to the test. So, with 10 Toast Go’s, two FitBits, and a video camera, we flew down to visit our friends at Odd Duck in Austin, Texas to hear about their experience using Toast Go and see whether there was any truth to the rumors. Odd Duck is an upscale New American restaurant famous for its quirky menu featuring locally sourced ingredients, exceptional guest experience, and delicious cocktails. Dinner reservations at Odd Duck are a hot commodity; the restaurant is notoriously booked solid well in advance and there's often a 2+ hour wait on weekends. The servers at Odd Duck are industry experts, with the kinds of learned insights – like remembering and pacing a multi-course meal for a party of 10, or remembering dietary restrictions and modifications – that only come with years of experience. The staff acts like a family and extends that familial hospitality to their guests – servers know their regulars by name and work together seamlessly throughout the shift. During the first year that Odd Duck introduced Toast handhelds into their restaurant operations, each server was able to turn their tables one additional time per night. With 34 tables in the restaurant, accommodating these additional guests resulted in a $500,000 increase in revenue over the course of the full year. Odd Duck’s bottom line wasn’t the only thing improving: servers also had extra time to devote toward providing attentive service to every guest in their section. This combination of the excellent service and additional tables served resulted in a $7,000 increase in annual tips, per server. Odd Duck is the epitome of a restaurant that has it all figured out. How would their servers respond when we took away their beloved Toast handhelds and switched them back to the old fashioned paper and terminal strategy? We showed up to Odd Duck on a Thursday night at the start of a busy dinner shift and set up shop at a table located in the back of the patio; this spot gave us the perfect vantage point to monitor the quality of service and efficiency throughout the shift. To test whether or not the rumors were true – that using Toast Go actually helped servers increase the amount of tables turned and decreased the amount of steps taken per shift – we had two servers – Jeff and Steven – act as our variables. Jeff and Steven were stationed in the same section, serving three 6-tops each; veteran server, Jeff, went back to the traditional pen and pad route during his shift, while Steven was equipped with a secret weapon – a brand new Toast Go. To see who spent more time walking back and forth between table and terminal and who spent more time on the floor, we strapped a FitBit on both Jeff and Steven. Our initial hypothesis was that Steven would get his guests seated, served, and out the door faster than Jeff’s tables, all while taking fewer steps over the course of the night. We recorded how long it took Jeff and Steven to get the first drinks out to the table, serve the first course, and check their guests out; we started the clock when the hostess seated a table in either Jeff or Steven’s section. 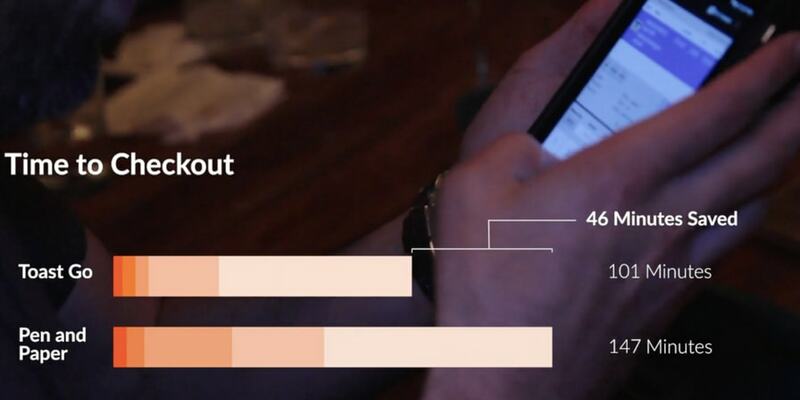 We expected to see a difference between Steven and Jeff's output, but the actual results were surprising! 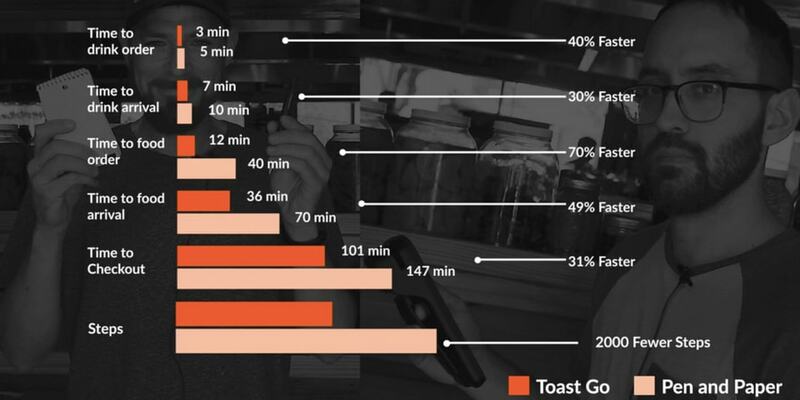 By using a Toast Go, Steven was able to cut 46 mins off of his table’s time at the restaurant, and took 2,000 fewer steps than Jeff over the course of his shift; Steven was also always one table ahead of Jeff with regard to table turn. So, what did he do with all of the time he saved that would have been otherwise spent walking back and forth between the table and the terminal? Steven spent more time at the table connecting with guests; he was able to answer their questions and make food and wine recommendations based on his guests's preferences – all without leaving the table. With the remaining time he saved, Steven pitched in to help his teammates bus tables, run food, and make sure that every guest at Odd Duck enjoyed a seamless dining experience. When asked about their dining experience, most of Steven’s guests didn’t even notice that he was using a handheld at the table. One guest who did notice the handheld at the table was relieved to see that Steven marked down his peanut allergy in real-time and relayed it to the kitchen. He felt much safer during his visit after seeing how attentive Steven was able to be with regard to his dietary restriction, thanks to Toast Go. Steven's table was amazed when their drinks came out while he was answering questions about the menu – he hadn’t left the table the entire time! 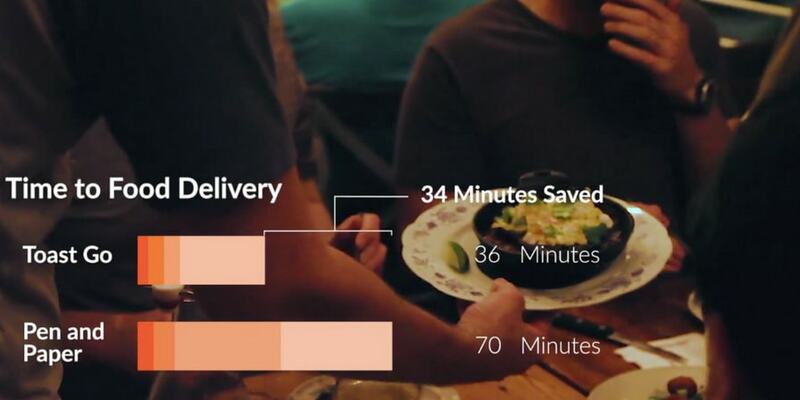 By cutting out the time it takes servers to walk back and forth between the table and the terminal to enter orders, servers can turn their tables faster. Odd Duck can now accommodate more guests per night after introducing Toast handhelds and have seen a huge correlated increase in revenue. Servers can use the time saved to help their teammates bus tables and run food, eliminating the need for additional staff members on each shift, and further reinforcing trust and camaraderie amongst the front of house staff. 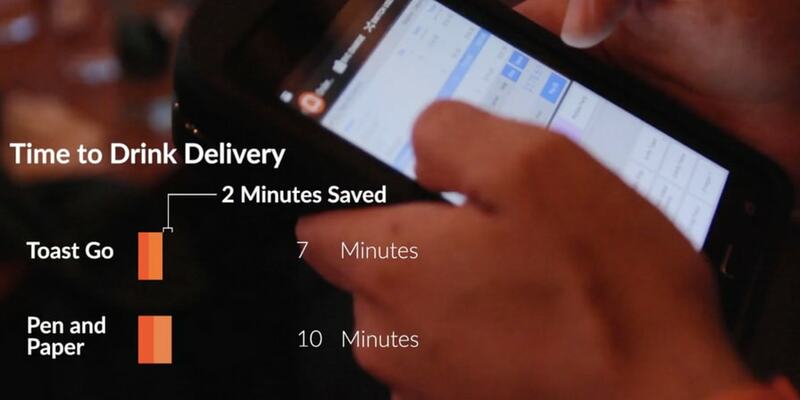 Sending orders to the kitchen and the bar in real-time – rather than when the server finally makes it back to the terminal – prevents the line from getting backed up with a bunch of orders at once. In addition, Steven found that placing the order at the table allows for greater order accuracy – he can record all dietary restrictions and modifications to a particular plate on Toast Go without having to walk back to the terminal and risk forgetting important details in the process. 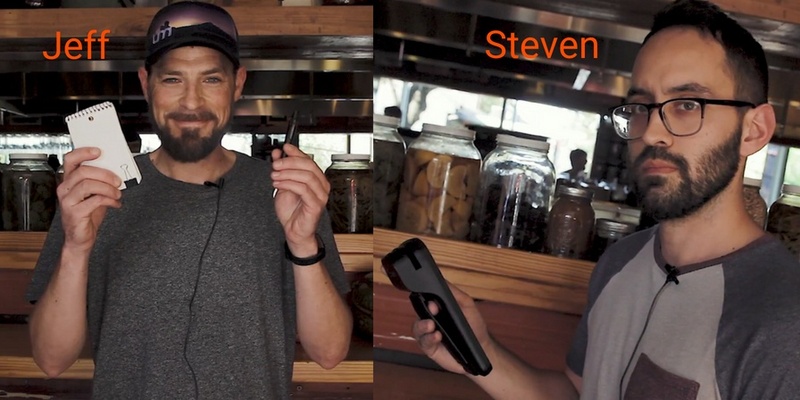 Toast Go also made it easier for Steven to send any on-the-fly orders directly to the kitchen, thereby eliminating the time Steven would have spent finding a terminal and inputting the ask and allowing the line to fill the order immediately. Odd Duck is famous for its food but their quality of service is another big reason that keeps guests coming back again and again. With Toast Go, servers at Odd Duck have the tools they need to offer guests the personalized, accurate, and efficient guest experience that they know and love from the moment they walk in the door until they sign their check. Toast handhelds – specifically Toast Go – have helped restaurants all over delight more guests per shift, streamline operations to optimum efficiency, and increase revenue. If you'd like to learn more about how Toast Go can help your restaurant thrive, click below to connect with our team.